SICKOFITRADLZ: This is a thing? Taika Waititi has signed on to co-direct Bubbles, a Blacklist script detailing the life of the late Michael Jackson from the perspective of his beloved pet monkey. Given the centrality of Michael Jackson to Waititi's 2010 award-winning film Boy (the young lead character was obsessed with Michael Jackson), it seems like a strong match. Isaac Adamson penned the script, an untraditional & fantastical biopic, which was one of the top titles on the 2015 Black List. The film is expected to resemble Charlie Kaufman's 2015 film Anomalisa, utilizing stop-animation technology, specifically their form of replacement animation, which combined 3D printing and puppetry. Anomalisa was the first animated film to win the Grand Jury Prize at the Venice Film Festival. It was also nominated for best animated picture at the Academy Awards and Golden Globes. I suppose it could be interesting. Seems tackier to me than a White Brit playing Michael Jackson for ITV. Friday, February 10, 2017. Chaos and violence continue, a NYT piece of work outdoes Judith Miller, the ban continues to be discussed, should a Supreme Court Justice step down from the Court, and much more. Where the Iraq lunacy began in print and was fostered daily. All these years later, the best it can do is offer foolishness with the occasional fact. Take this piece of work who's violated every ethic in place this week. If ever there was a time to use Cher's favorite word, this would be it. But I'll just bite my tongue on that. It must be wonderful, to be an embed, and wonder as you wander the streets of eastern Mosul. It must be amazing, when you're part of a military detail (as an embed) to walk protected. Because, never forget, you are the story, you whorish little minded person. You are always the story. Not where you sent to cover because you are the story whereever you are. The whorish one doesn't grasp that she's reporting for THE NEW YORK TIMES. That means she doesn't offer opinions. Certainly not on political issues. Or, that's what it's supposed to mean. When whores play, it gets messy -- that's why penicillin was invented after all. Let's be clear about what the whore just did. The whore is taking a side on the ban. The whore's not an analyst. And the whore's not talking about the Iraqi people. She's talking about the Iraqi forces. Which is confusing because if you're part of the Iraqi forces fighting in Mosul, are you really trying to come to the United States? Seems like if you're part of the Iraqi forces, you'd want to stay in Iraq. But logic is hard for whores, they're too busy calculating traffic and how much to charge per trick. The paper bans that. The paper bans reporters offering opinions on political issues. But whores do what they want. And the Iraqi forces in eastern Mosul that she's so concerned about? Grim footage has emerged from eastern Mosul, supposedly “liberated” from [the Islamic State] control late last month,showing members of the Iraqi Security Forces (ISF) and men who appeared to be from the Shia-dominated Popular Mobilisation Forces (PMF) paramilitary organisation executing unarmed men in the streets. 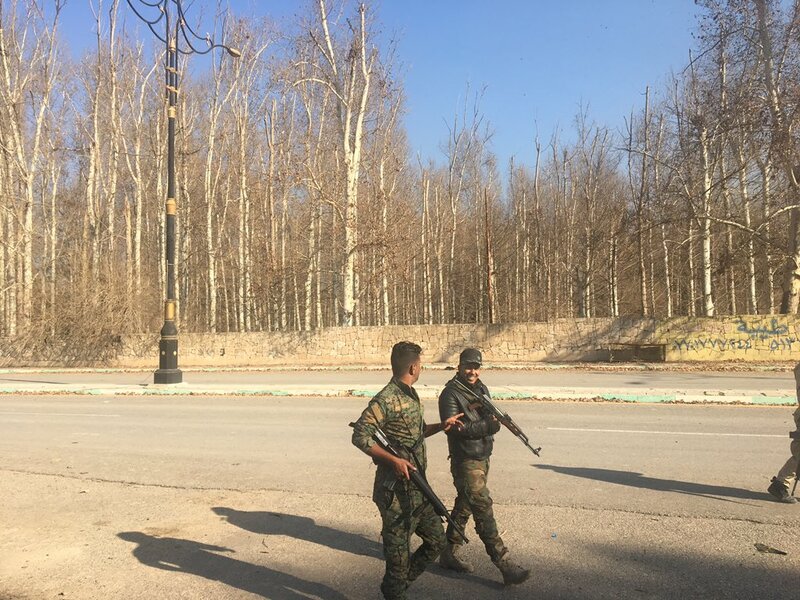 “Sadly, we have become accustomed to seeing such violence against people who are likely civilians,” Ahmad Al-Mahmoud, an analyst with the London-based Iraq monitoring group Foreign Relations Bureau of Iraq (FRB), told MEMO. “Even if they are ISIS, they should be tried in transparent and just courts, not shot dead in the middle of the street,” Al-Mahmoud said, using another acronym for the [Islamic State] extremist organisation. Guess she can't notice that because she's too busy Tweeting about how great she feels walking through the streets of eastern Mosul with her military guides. Again, it's not about the people in Mosul, apparently, it's about the delights of the fish out of water who decides she's the center of the world because she's a reporter. Does it matter that she requires a translator? Apparently she's just the best reporter there ever was (after failing at poetry) and can be dropped anywhere and, embedded with the Iraqi military, know just what the Iraqi people -- that she doesn't speak to freely -- are thinking. I would say "The spirit of Judith Miller lives on" but I believe even Judith Miller had more integrity than this piece of trash. We'll come back to THE TIMES in a minute. As the courts ponder President Trump's ill-advised immigration ban, nothing better illustrates its cruelty and carelessness than its impact on Iraqis who risked their lives to help Americans. By now you probably know that Trump's claim that a mere 109 visa-holders were affected was nonsense. At least 60,000 U.S. visas were canceled, causing chaos for foreign students, academics, high-tech workers, doctors who serve rural America, family members of U.S. citizens, and tourists. That's beside green-card holders - permanent U.S. residents - who were originally included in the ban (most were eventually permitted to enter). What you may not know is that the ban included Iraqis who held Special Immigrant Visas (SIV) issued to interpreters who helped the U.S. military. Thank heavens the Trump administration was shamed (and pressed by the Pentagon) into revising that decision. 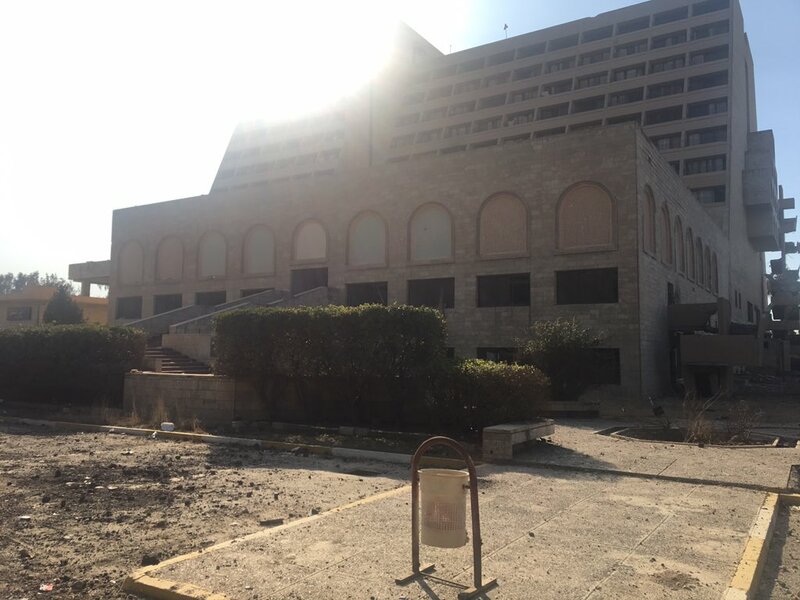 However, that affected relatively few Iraqis, since the SIV program ended in 2014; only 19 such visas were issued during the last three years, according to the State Department (around 500 cases are still in process). And what you probably don't know is that many other Iraqis who risked their lives helping Americans are still excluded by the ban. Trudy Rubin never forgot Iraq. She covered regularly in the last 8 years and continues to do so. Whether you agree with her take or not, hopefully you respect that it is an informed opinion and not an attempt to turn an issue into political football. The Archbishop for the Christian community in Iraq said President Trump’s travel ban on immmigrants from terror hotspots is a good thing and will help minority religious groups in the region. Bashar Warda, the Chaldean Catholic Archbishop of Erbil in Iraq, said as long as Trump's executive order includes special preferences for all victims of ISIS, it can be a positive for Christians in the region, whose plight Trump has been sympathetic to. “I would personally prefer that our people stay here in their ancient homeland, but I also understand that many have lost hope,” Archbishop Warda said to Fox News. “They have suffered too much and want to leave. It is not my place to force them to stay. The issue will likely be going to the Supreme Court. On that, a four to seven vote may be the outcome. Do I mean four to four? Judge Ruth Bader Ginsburg may have to recuse herself from every case the administration is a party to as a result of her idiotic and unprofessional comments during the election. Judges are not supposed to inject themselves into the electoral process. Sandra Day O'Connor had her moment and she handled it well. She was not pleased when Al Gore was being predicted winner and made some sort of a grunt. Realizing what she did, she then left the room she was in. Her husband, however, destroyed her removal by explaining to those present that she was upset because if Bully Boy Bush won, she could retire but if Gore won she'd have to wait at least four years before retiring. But we've all like Ruth a little too much on the left and she's gotten addicted to applause. So she makes comments no sitting judge should make. And we all looked the other way when she started speaking about issues that come before the Court -- when we shouldn't have. There's an argument to be made for removing her from the court right now because she's not impartial on the Donald Trump administration by her own comments. She should have to recuse herself repeatedly from case after case. But, again, there's also a strong argument to be made for her stepping down from the Court immediately. Again, I've applauded her many times -- most of us on the left have. She's begun to seek out that applause outside the court room and given speeches and interviews on topics she should not be weighing in on as a sitting justice. She completely crossed the line with her comments on a candidate for presidency. Now that the candidate is president, her actions need to be scrutinized. Nearly eight months after the recapture of Falluja showed that Iraq’s government could wrest one of the Islamic State’s major support bases away from it, the victory now seems at risk. The Shiite-dominated national government has not yet demonstrated that it can secure and rebuild this shattered Sunni city, soothe sectarian grievances or provide for 250,000 returning residents. Iraqi and American security officials now fear that if the Sunnis of Falluja are given no reason to trust the government, they may once again embrace the Islamic State, also known as ISIS and ISIL. 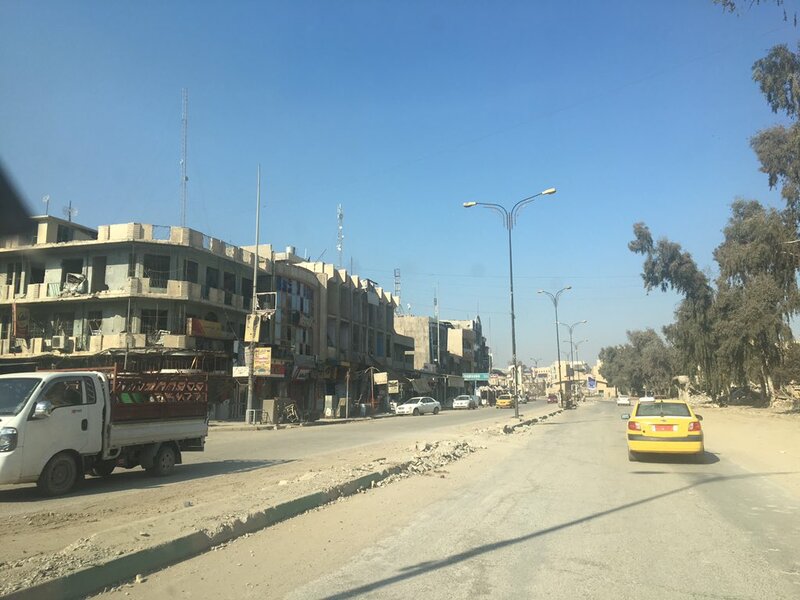 Local officials say Islamic State sleeper cells remain active, and many residents continue to aid the insurgents. Guerrilla attacks have resumed; in one of the most recent episodes, a suicide car bomb on Jan. 28 killed two police officers. Enjoy it. It's the only real reporting on Iraq will likely see for a few more installments. Having offered some facts, they'll now return to fluff. That's liberated Falluja. 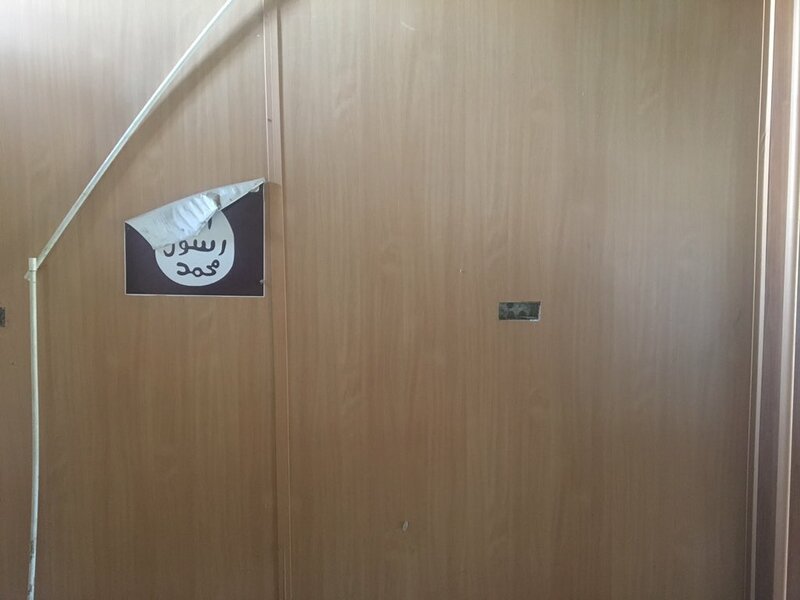 "Liberated" Falluja. Today is day 116 of The Mosul Slog. The operation to liberate or 'liberate' Mosul began 116 days ago. Now they're saying it will be done in 180 more days.